For construction works, or in any situations where earth should be moved in large quantities. This is a light weight 4x4 digger, and can be equipped with front loader, digger, and pallet forks (included in specification below). Depending on attachment this piece of equipment could be used for light construction works (drains, shallow foundations, pits), solid waste moving and pallet moving. 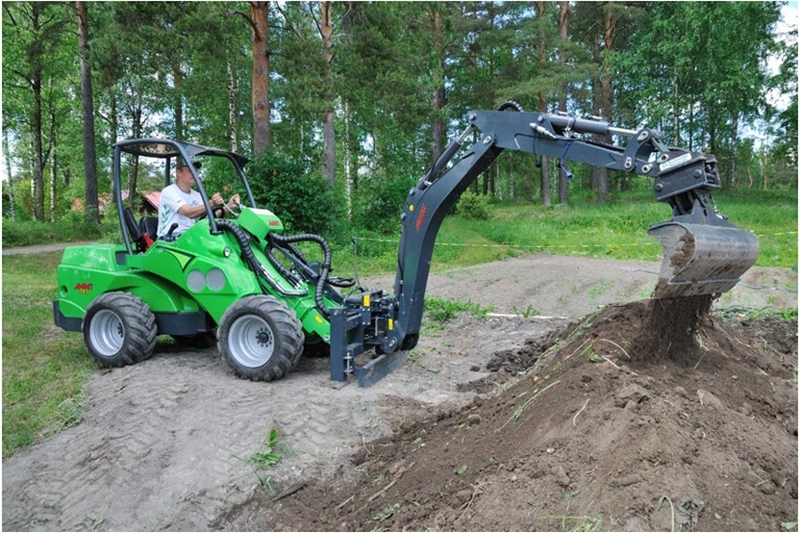 Digger can operate on soft terrain, roads, and airport pavement. Supplied with the appropriate trailer for moving it to the place of work, and with a maintenance set. A standard Toyota Land Cruiser can tow it. Maximum breakout force on 50cm. Multifuntion joystick. Tachometer hour, temperature gauge, fuel gauge.